The joint masters prepare each day by visiting farmers in the area where the meet is being held. The aim of the visit is to find out what is happening on the farm so as not to disturb a farming activity (e.g. TB testing, a particular grazing ground or new seed). Gamekeepers are also contacted to co-ordinate dates. The joint-masters will brief trail-layers in advance of the day so that trails can be laid in a suitable direction. 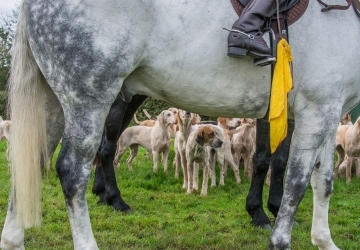 The trails will ensure that the historic pack of hounds and horse-riding followers can enjoy the country that is so generously opened to the VWH by its supportive farmers.